Accidents which take place in malls, grocery stores, or other shopping centers generally fall under premises liability regulations in Pennsylvania. This basically means that an injurious accident which was due to the negligence or recklessness of another party may lead to a strong personal injury claim against the store owner or property owner. A successful settlement or verdict may lead to compensation to pay for medical bills, lost wages, pain and suffering, and more. The personal injury attorneys of Kamensky, Cohen & Riechelson have extensive experience helping clients find mall and grocery stores liable for their injuries in Pennsylvania towns like Levittown, Penndel, Northeast Philadelphia, Bensalem, Millbrook, Feasterville and the greater Bucks County region. We will examine the details of your case to build a strong personal injury claim and seek to recover the compensation you and your family need and deserve. Call our office today to speak with a member of our personal injury legal team in a free and confidential consultation regarding your mall or grocery stores accident and related injuries. There are several common causes for injurious mall and grocery store accidents that our Northeast Philadelphia premises liability lawyers have seen over time. All of these types of accidents may have resulted from the negligence of and employee, manager, business owner, or property owner of a mall, grocery store, or other retailer. Slip and fall accidents. 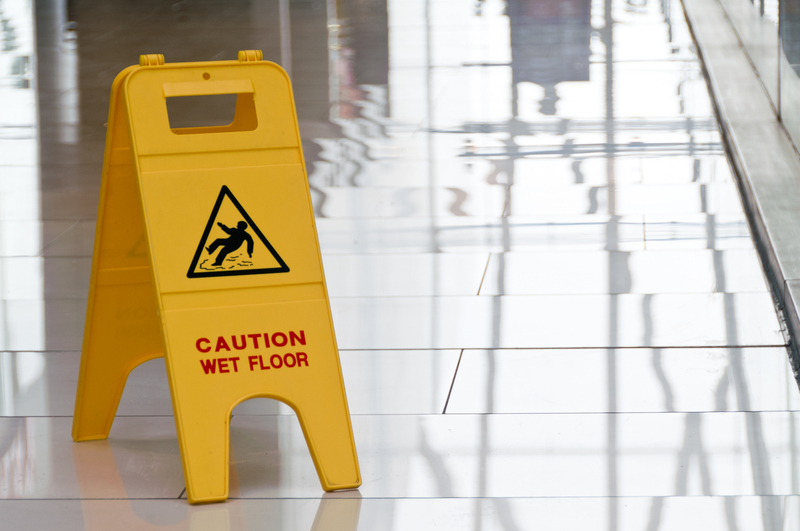 The most common type of accident on mall or grocery store property is a slip and fall. These may seem innocuous, but can sometimes lead to traumatic injuries including brain injuries, spinal injuries, paralysis, and more. Businesses are responsible for reasonably maintaining a safe, dry walking surface for customers. Accidents caused by negligent security. Negligent security is another way of stating that the safety of shoppers of patrons was not accommodated by appropriate security measures. This mostly includes inadequate or non-existing security guards, lack of reaction to previous acts of violence, or inaction by security to a present and clear threat to the safety of others. Accidents caused by inadequate lighting. Insufficient lighting can lead to a dangerous situation for a variety of reasons. Poorly lit areas may embolden criminal activity, lead to slip and fall accidents, or even lead to a pedestrian motor vehicle accident in a dark parking lot. Example 1: A customer spills liquid on a grocery store floor. An employee, manager, or owner takes notice or is informed of this spill, which has caused a hazardous situation. Rather than correcting the situation by cleaning the floor or at a minimum posting a wet floor sign, they choose to ignore the dangerous conditions. A patron of the store is injured after slipping and falling on this spill as a result of the negligence of the grocery store representative. Example 2: An employee is stocking high shelves without the proper ladder, equipment, or another employee to assist. He does not put up a sign or other warning to customers to alert them to a potentially dangerous situation. As a patron walks by, the employee drops an object from the top shelf, striking the patron and causing a head injury. The accident and the resulting injuries are a direct result of the negligence of the employee. You can help with item number two by seeing a medical doctor as soon as possible in the aftermath of your injurious accident. This will give you and your family the peace of mind that comes with a medical diagnosis. It will also give us a legally valid diagnosis of your injuries which we can use to tie them back to your accident. The sooner you are able to see a doctor, the stronger the connection between your injuries and your accident. The rest you can leave to our seasoned legal team. We will work with the specific evidence of your case to attempt to show that you are entitled to financial compensation. At The Law Office of Kamensky, Cohen & Riechelson, we take pride in finding compensation for our clients injured in mall or grocer store accidents throughout Pennsylvania towns including Levittown, Northeast Philadelphia, Feasterville, Millbrook, Bensalem, Penndel and all of Bucks County. Our attorneys work closely with our clients to keep them as involved and informed as possible throughout the legal process. Ultimately, we will put our experience and knowledge to work for you as we seek to secure your family’s financial future. Contact us online or through our Bensalem offices by calling (215) 337-4915 today for a free and confidential consultation regarding your mall or grocery store accident injuries and to find out how we can best serve you.